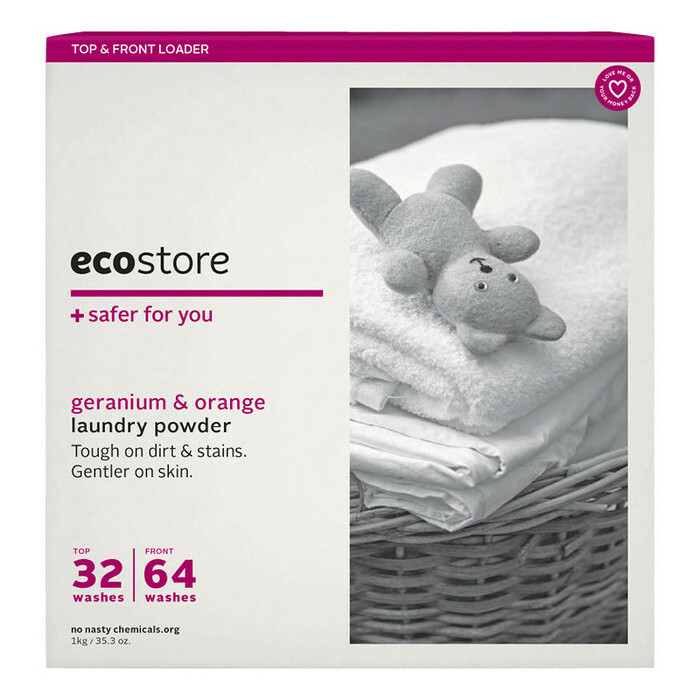 Ecostore Laundry Powder in Geranium & Orange is suitable for both top- and front-loading washing machines and is designed to effectively cut through dirt and grime to leave your clothes looking and smelling clean and fresh. Formulated to be kind to sensitive skin and to the environment, it is made from plant- and mineral-based ingredients and utilises powerful enzyme technology. 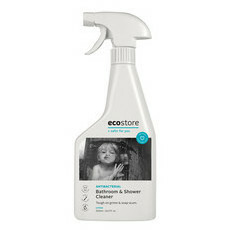 It has been independently tested against market leaders to ensure excellent results. 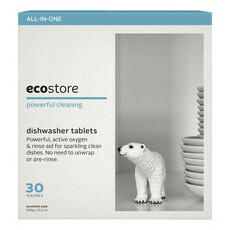 As the powder is super-concentrated a little goes a long way, so each box includes a handy, 100% recycled plastic measuring scoop to avoid over-use. 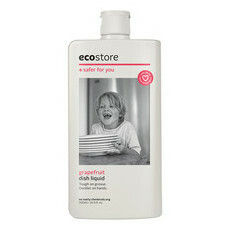 A 1kg box will give 32 top-loader washes or 64 front-loader washes. Add 1 or 2 scoops to your washing, depending on your type of machine. 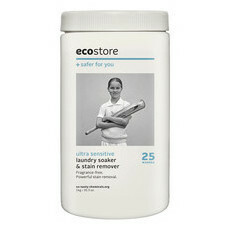 Works well and is non toxic. Good, it's just a lot to pay for a tiny box.